This page offers our clients what projects we have currently completed. Feel free to browse and look at the quality work that we’ve done. Call for information at any time. 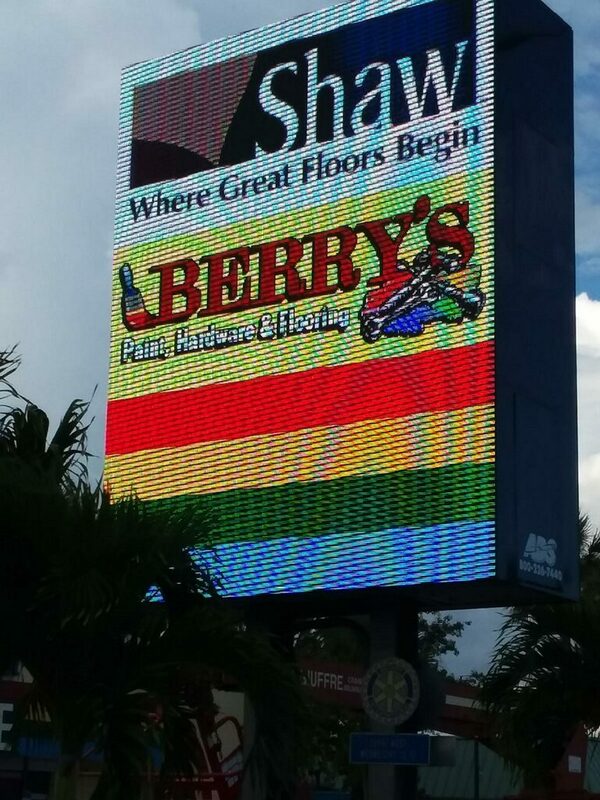 AD Systems has these recent installation throughout Florida. Berry’s carpet, Homestead, FL. A 30 year customer of AD Systems updates to a new 10mm vertical display featuring a matrix of 416 points high by 320 points wide. Vertical displays are becoming a trend for LED displays. Berry’s display creates a landmark along A1A at the entrance to the Florida Keys. 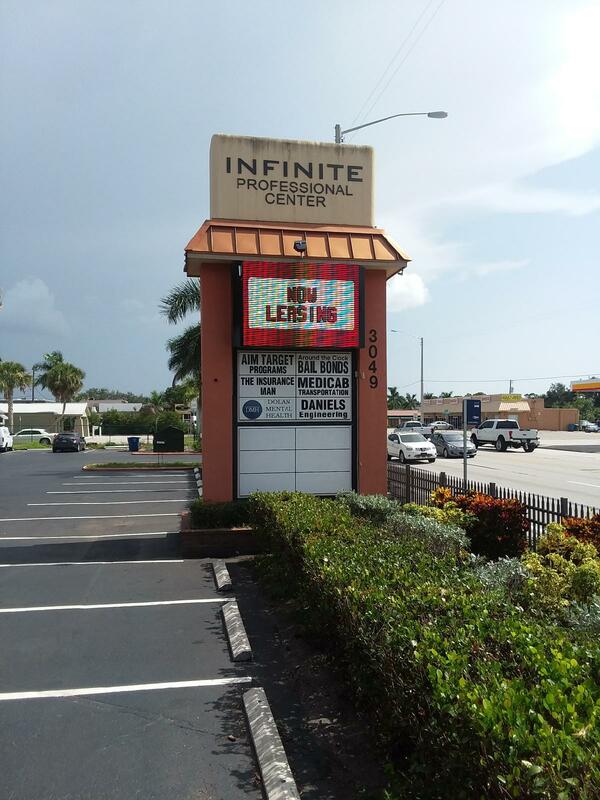 Infinite Professional Center, Fort Myers, Fl. A 10mm display featuring a 160×224 matrix along busy US-41 gives each individual tenant bold exposure in a rotation process rather than a tiny placard among a list of other names. Perfect for their high traffic location. 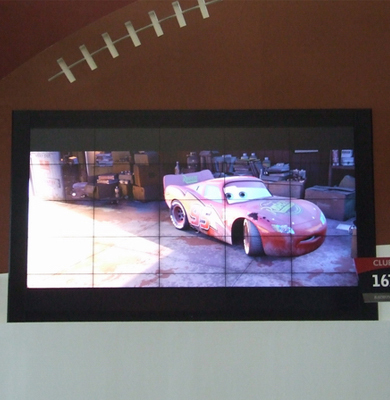 Working with the Bucaneers in Tampa, FL, AD Systems installed four separate 5×5 Array LCD screens. Controlled from their broadcast room, this installation supports a full 1080i resolution! 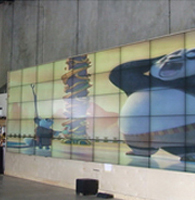 An indoor 5×10 LCD Array built and tested at AD Systems, Inc. High Definition Resolution supporting a variety of inputs and sources. Games, TV, Satellite, BlueRay DVD and more!